WOW! You won't want to miss out on this opportunity to own this HUGE 1 owner custom built home located in Morning Song Farms. This Two-Story Colonial is filled w/Amenities Galore!! Only 14 years young and full of pride. Inviting covered front porch greets your guests! Large Foyer with pillars welcomes you to the first floor. Extra Large formal living & dining room area. A stunning Morning Room with great views. Handsome 1st floor very large den/library. Spacious gourmet stove-top island kitchen fully equipped with appliances. Large beautiful wood/glass cabinets, vaulted ceilings, BONUS ROOM (could be another bedroom) mud room, laundry room, half bath, & walk out to your stamped patio with a wooded park like view. This completes the first floor of the home. The second floor welcomes you to 4 bedrooms. 2 bedrooms share a jack and jill full bath. 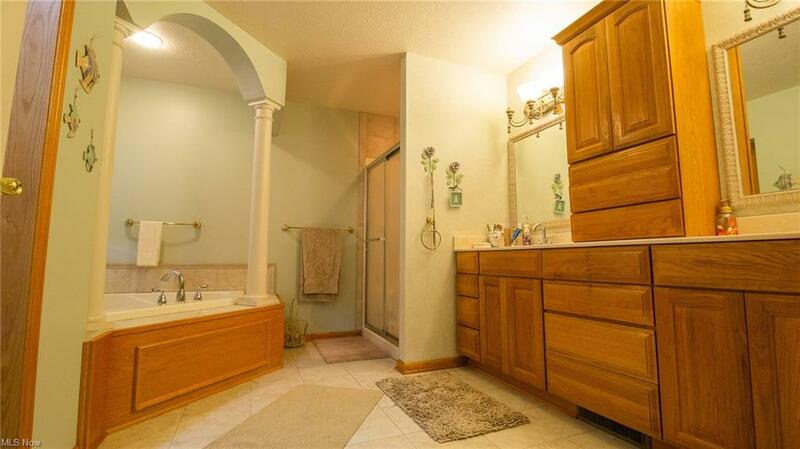 A bonus extra full bathroom. The master bedroom is HUGE with a walk in closet to die for and EXTRA LARGE Master bathroom with a garden pillar style tub, shower, & offers a lot of cabinet space. The basement is VERY LARGE drywall, electricity, & rough in for a full bath have all been completed. Curb appeal , curb appeal, curb appeal!! Wrap around driveway & this home sits on almost an acre and a half. The backyard has a walking path (no other homes in this development like it!) It is completed with a heated 3 car garage. Don't miss out on your opportunity to see this one of a kind home. NO CITY TAXES ! Make your appointment today. Selling Office: Stouffer Realty, Inc.